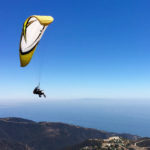 On a clear day with gentle breezes, looking up into the sky above Malibu mid-morning often reveals a glimpse of paragliders soaring through the air—most likely with Claude Fiset, owner of Malibu Paragliding. 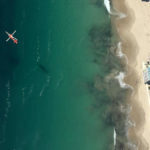 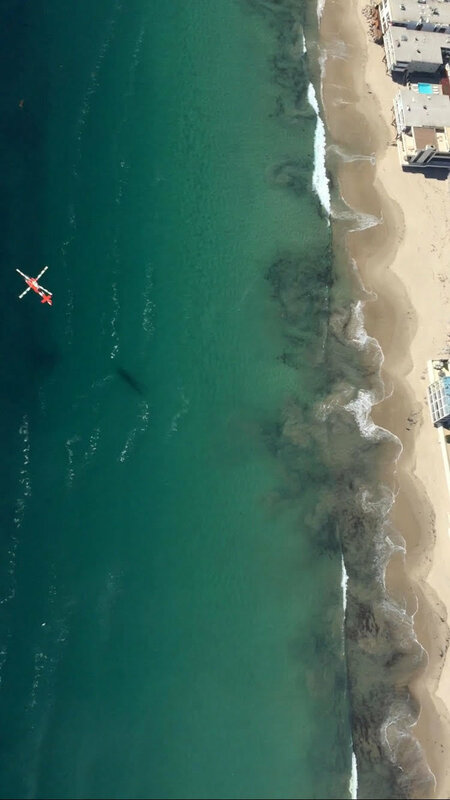 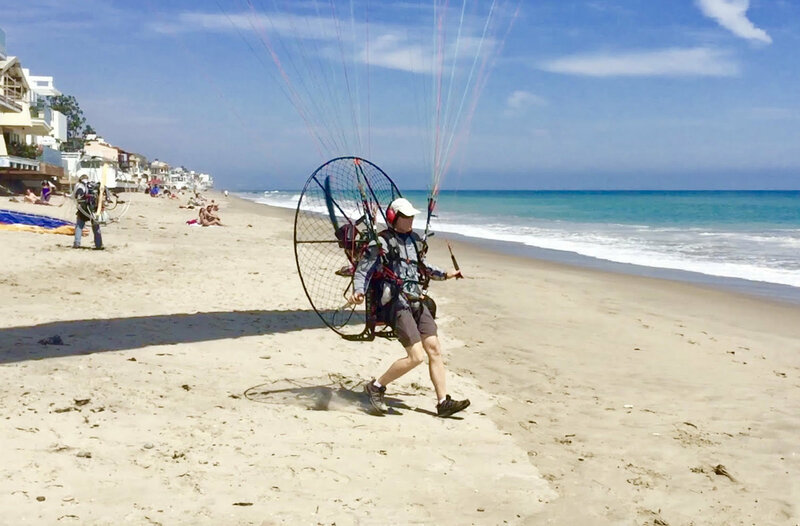 For the past 30 years, the Pacific Palisades resident has enjoyed sharing his love of the sport with willing participants brave enough to glide through the skies with Fiset, who takes pride in his perfect safety record. 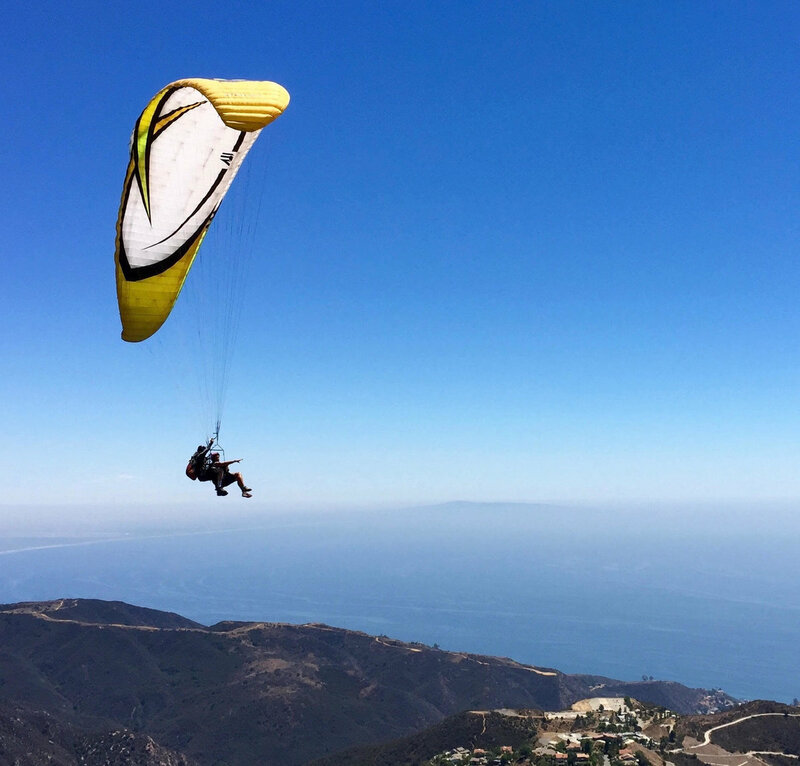 A stunt man, expert skier, whitewater kayaking instructor and mountain biker with an Engineering degree, Fiset first tried paragliding during a ski trip in British Columbia. 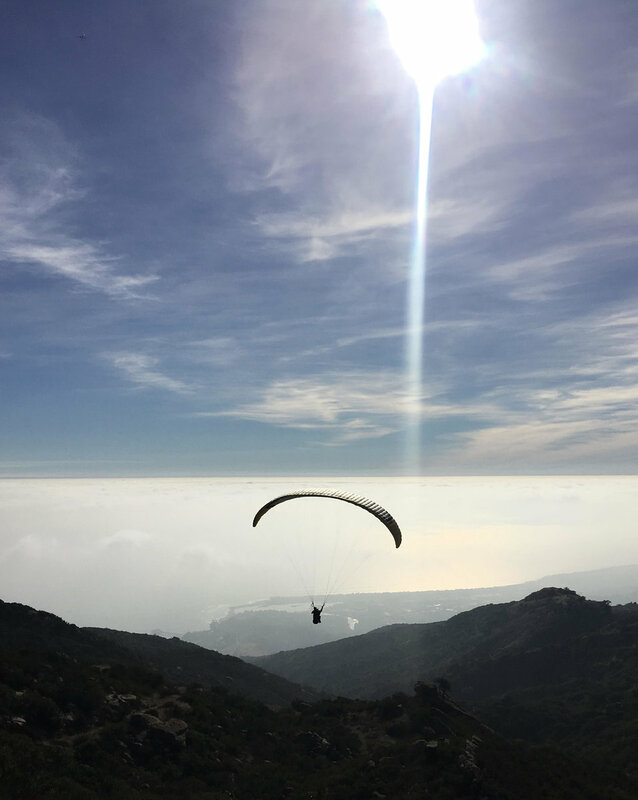 “I knew it was something I would not do only once!” he recalls, remembering the freedom and exhilaration he felt while paragliding. 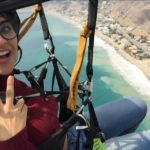 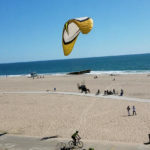 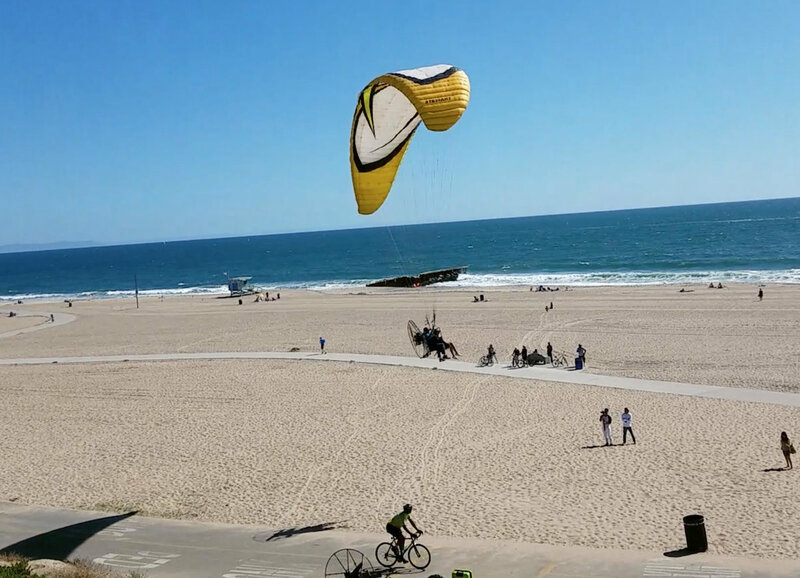 With the only paragliding company in Malibu, Fiset offers paragliding and powered paragliding tandem rides and lessons, taking off from 12 sites in Malibu and soaring through the air for about 30 minutes before landing safely on the beach. 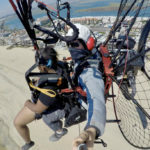 Participants can choose from a paragliding tandem flight with an instructor, taking off from a 3,000-foot-tall mountain site and soaring like birds up to 5,000 feet, and the paramotor tandem flights (May through October), taking off from the beach with a powerful, quiet and light paramotor and reaching altitudes of up to 2,500 feet above sea level before landing softly on a sandy beach. 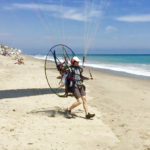 “It can be a very technical sport and imitating bird flight is an art!” says Fiset. 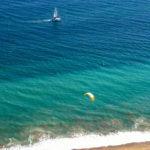 “It is fun to share this feeling with others. 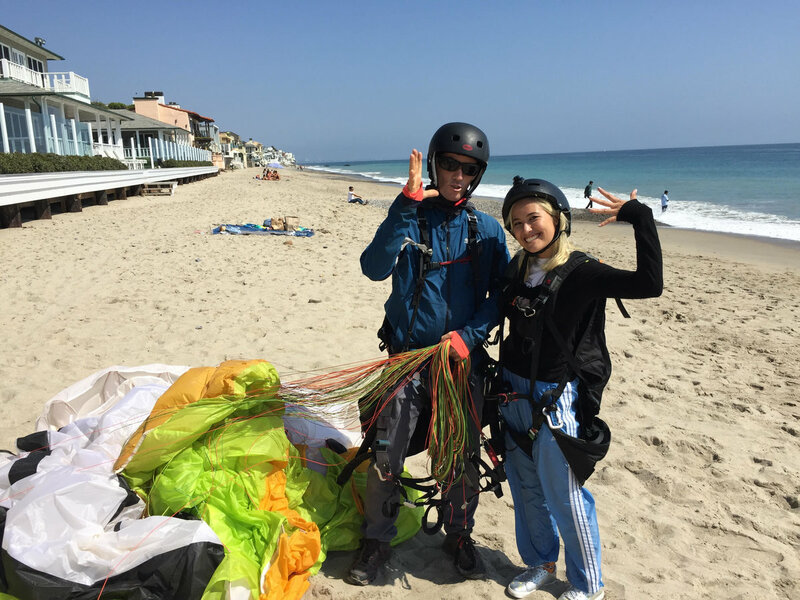 Once you learn the basics, it’s possible to fly on your own safely on your first day!” he adds. 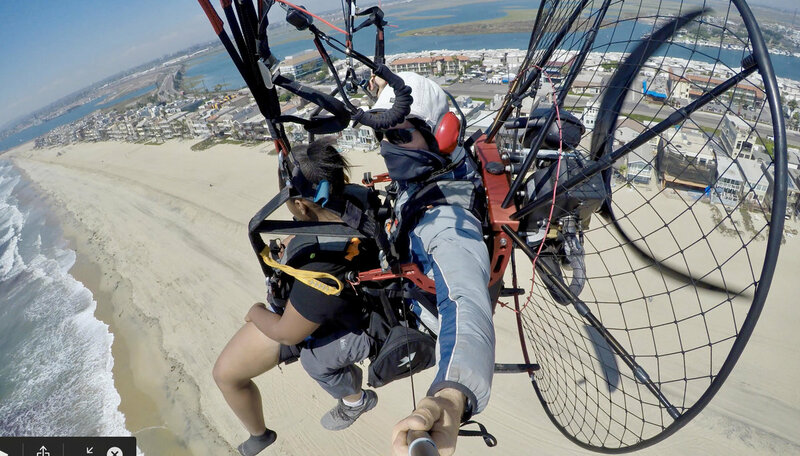 In addition to paragliding lessons and tandem flights, Fiset offers aerial photos and videos, as well as Synergy Paramotors, the most innovative powered paragliders. 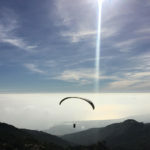 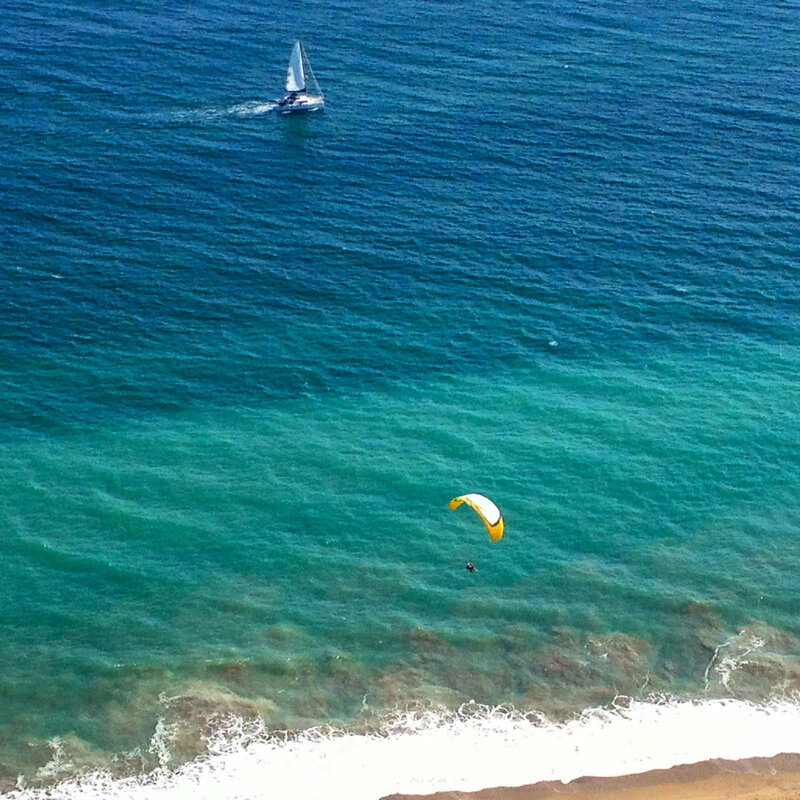 To schedule a lesson and learn more about paragliding, visit MalibuParagliding.com or call 805.205.2405.